NEW! 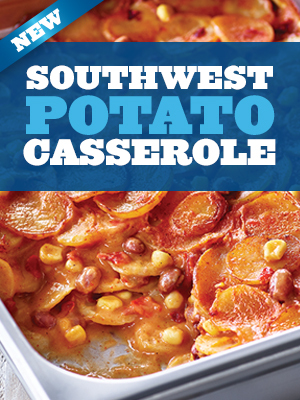 Southwest Potato Casserole – Reduced Sodium is a delicious blend of potatoes, corn, beans and bell peppers in a cheesy southwest sauce. Your patrons get more of the sides they crave, while you get an appealing menu offering that you can prepare in a snap.